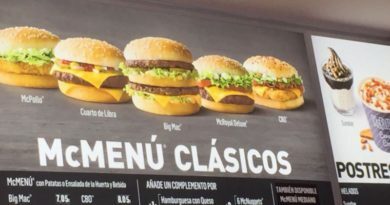 After recently sampling Steakhouse Fries at McDonald’s Morocco, we were discussing whether we would ever see those or curly fries and/or potato wedges in the UK. 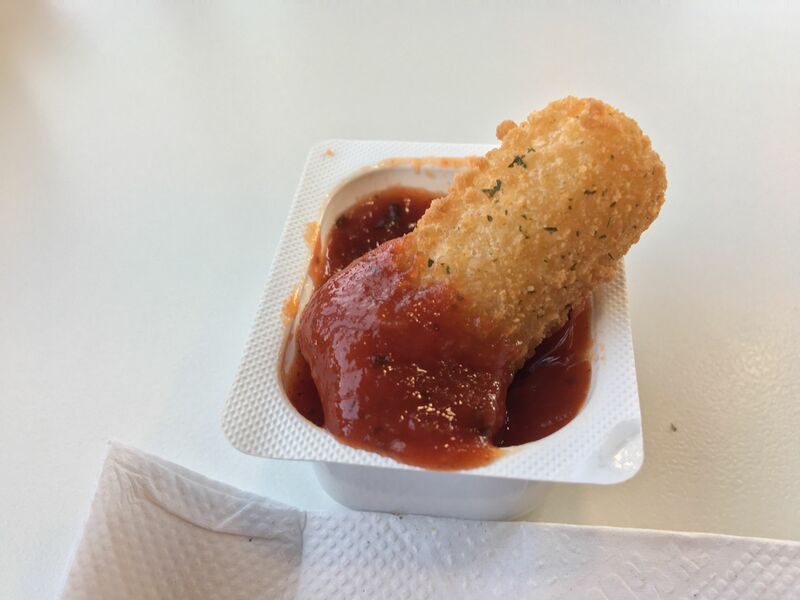 Our attention turned to Mozzarella Dippers – suddenly realising that we had never actually formally reviewed the popular cheese side from McDonald’s. 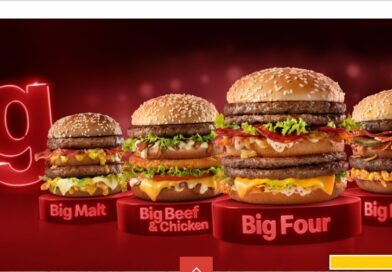 Because of how often they appear on the menu, you could call them the ‘Big Tasty’ of the cheese sides available at McDonald’s. 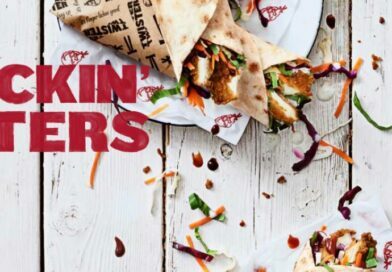 They do re-appear quite regularly and as of writing, are priced at £1.69 for three Mozzarella Dippers and Salsa sauce. 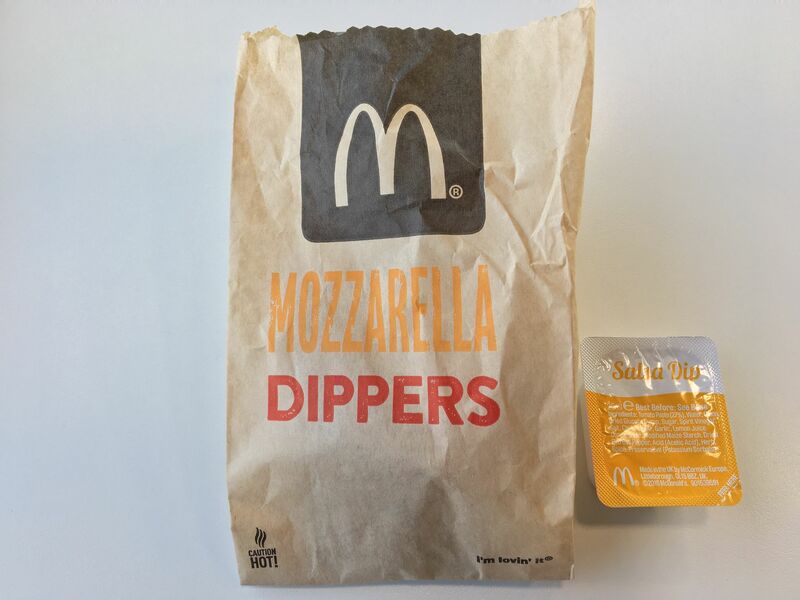 The brown paper bag they come in is quite big for what is contained inside (the Walkers effect) but the dippers are certainly bigger than other cheese options at McD’s such as the Spicy Nacho Cheese Wedges and/or Cheese & Herb Melts. 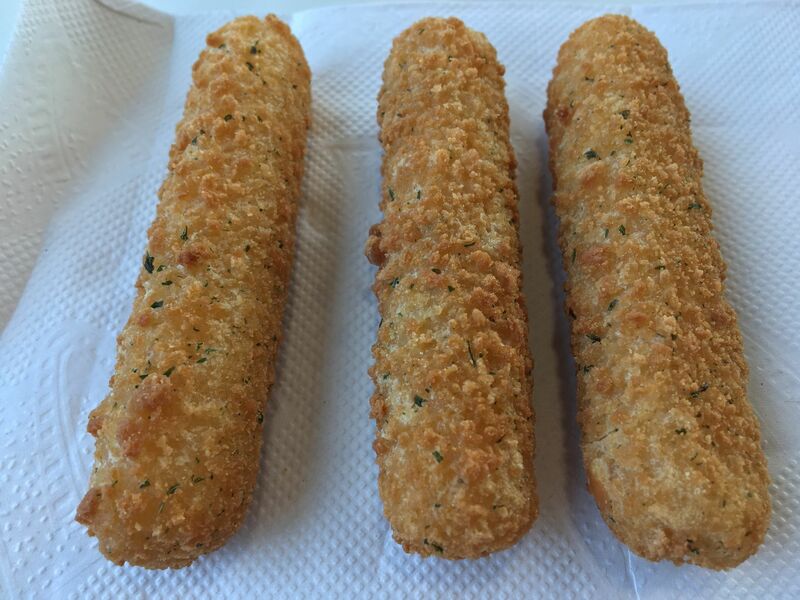 They’ve got a fine, golden crispy coating with a few flecks of green herb. 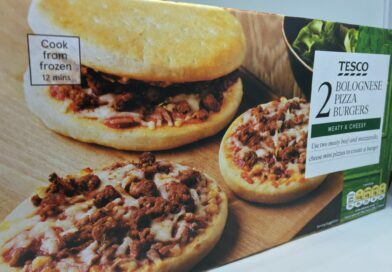 The cheese inside looks like it needs to be melted more but this could be down to the type of cheese housed within. Being Mozzarella, it’s fairly pale in colour and stringy as expected, when you pull them apart. 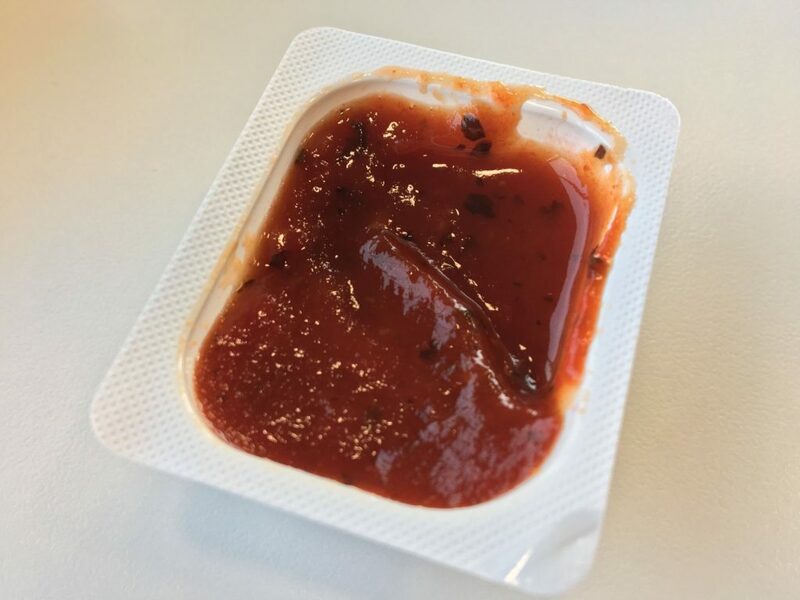 My favourite element of the Mozzarella Dippers has always been, and always will be the tomato Salsa dip which should come with your portion. A real rich, delightful marinara, which for me, makes these a worthwhile purchase every time. Price-wise, are these good value? 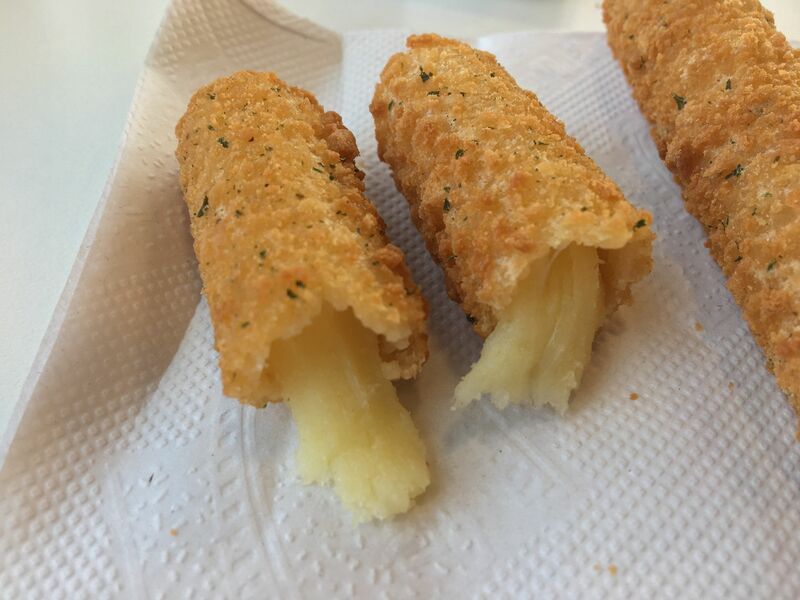 I certainly rate them higher than the other cheese sides as I believe you get more for your money with the Mozzarella Dippers. My Double Cheese was £1.59 so at 10p less for that, I can’t quite decide which of the two I prefer if I was pushed to choose only one. 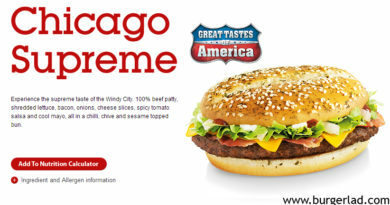 Probably the burger! 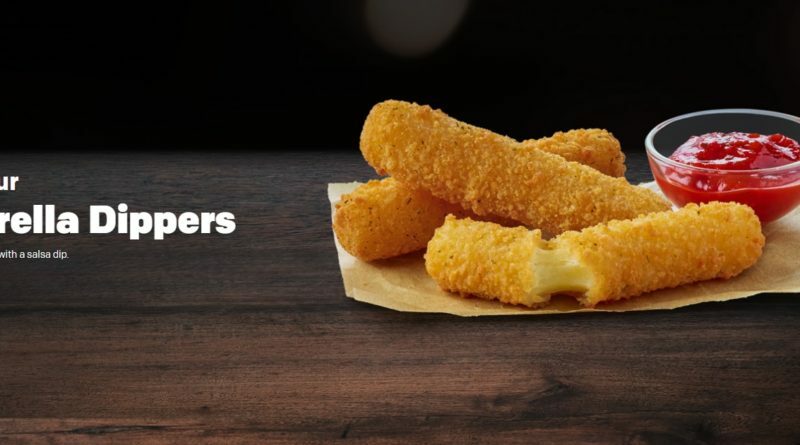 But that’s the point of Mozzarella Dippers – they really are designed to be an accompaniment to a medium or large value meal… or to make our award-winning Italian McChicken menu hack. 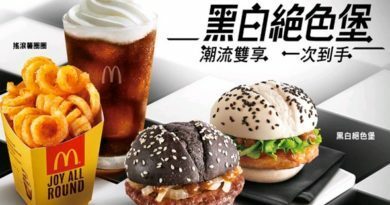 I used the MyMcDonald’s App to place my order and got an error code which Captain QP has encountered at a nearby location. Frustrating. So, instead I used the touchscreens to order and selected table service. I approached the counter holding the table service placard with my eyebrows raised. I just shrugged my shoulders and took my food to be greeted with a sarcastic “you’re welcome” response. Pretty certain this is the exact same woman that served me last time I had attempted table service at this location. 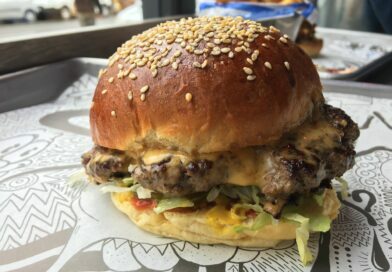 Instead I received my burger shoved sideways in a takeaway bag proclaiming “what’s the difference” (after I had requested a tray). I won’t be returning to this particular McDonald’s again unless very desperate. 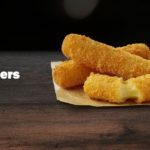 As for the Mozzarella Dippers – they’re pretty decent, they appear on the McDonald’s menu multiple times in the year and are great for using to create the Italian McChicken. 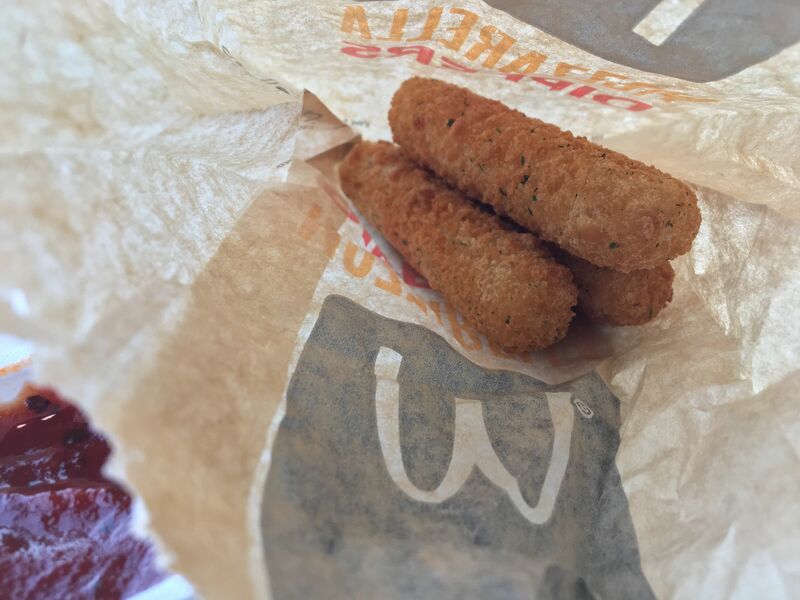 Also I think “sticks” are better than nugget-style cheese accompaniments when it comes to dipping. 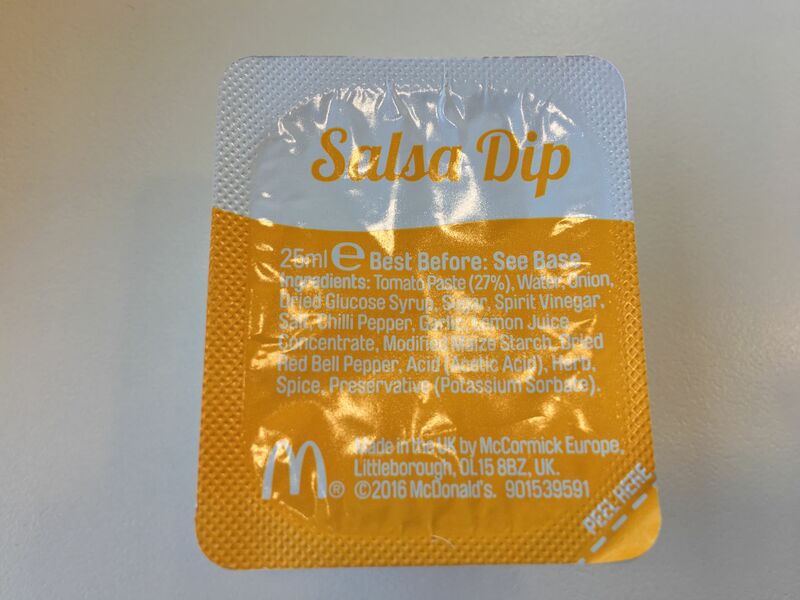 Speaking of dipping, I love the Salsa and this makes a relatively enjoyable cheese side even better.